WF Senate is celebrating 25 years of its Sector own brand range. To commence the Sector 25th Anniversary celebrations, WF Senate has launched a six month campaign. Customers are invited to step into Lewis Hamilton’s shoes and compete to win a Formula 1 product by racing an F1 car on a PlayStation in branch. Each month the top drivers with the best lap time will be announced. 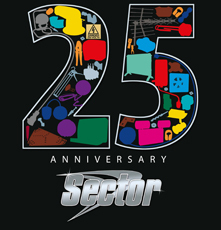 Originally featuring 65 product lines, the Sector range has grown over the last 25 years to 3,700 products, and now one in three products sold at WF Senate are Sector branded.